It’s hard to spend more than a few hours in Tokyo without running into a Buddhist or Shinto temple or shrine. In fact, you’ll likely find one in almost every city and village in the country. 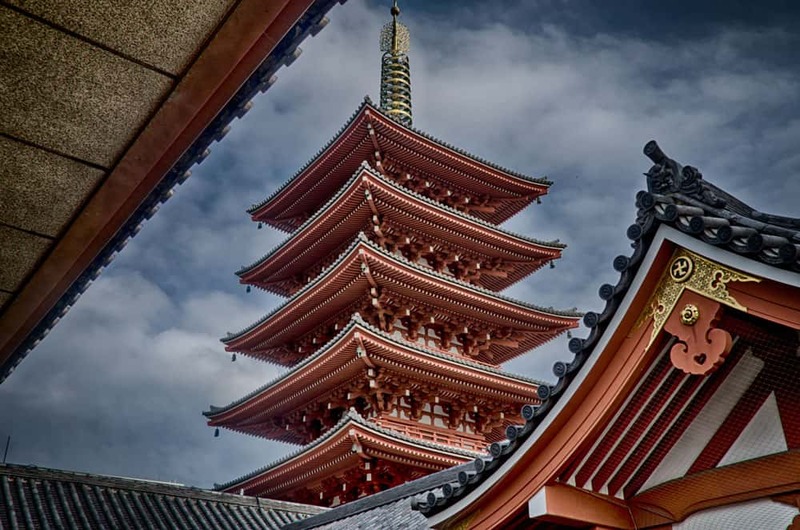 Japan is estimated to have over 75,000 temples and 80,000 shrines. 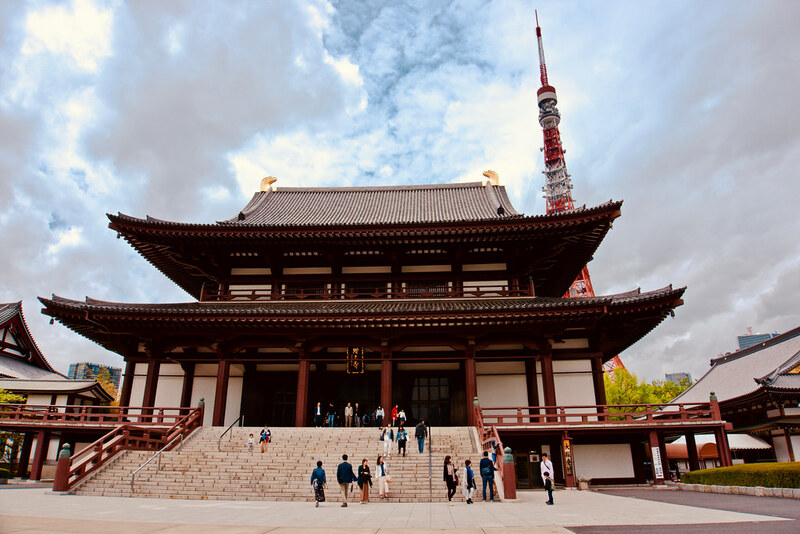 While some of the most famous sites in the country are in the old capital of Kyoto, Tokyo still has plenty of temples that you simply cannot miss. Senso-ji Temple is about an eight-minute walk from the Asakusa Station and one of the most well-known temples in Tokyo. It’s also one of the oldest. Depending on the time of the year, you may be lucky enough to visit the temple during one of the many festivals. Even if there isn’t a festival, however, the area around Senso-ji is still worth a visit. The surrounding area of Asakusa is full of tourist shops containing souvenirs and historic buildings with traditional Japanese architecture. 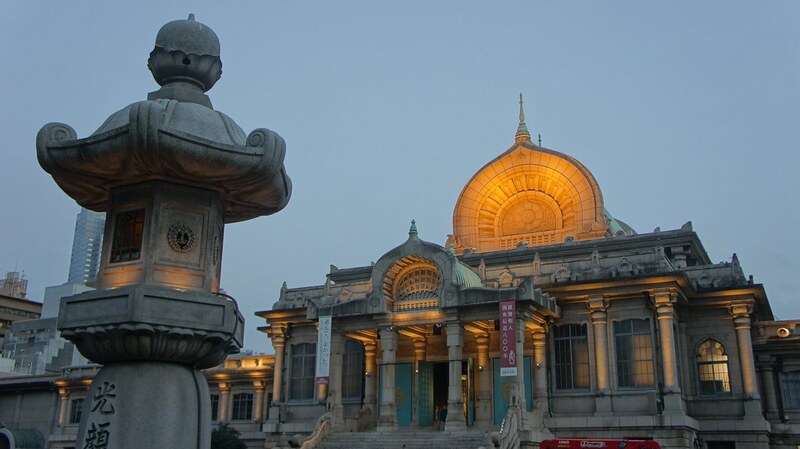 The temple is recognizable due to its large red lantern that hangs in the middle of the main gate. It appears on numerous postcards and posters of Tokyo. While the temple itself closes at 5pm, the gate is open 24 hours a day. 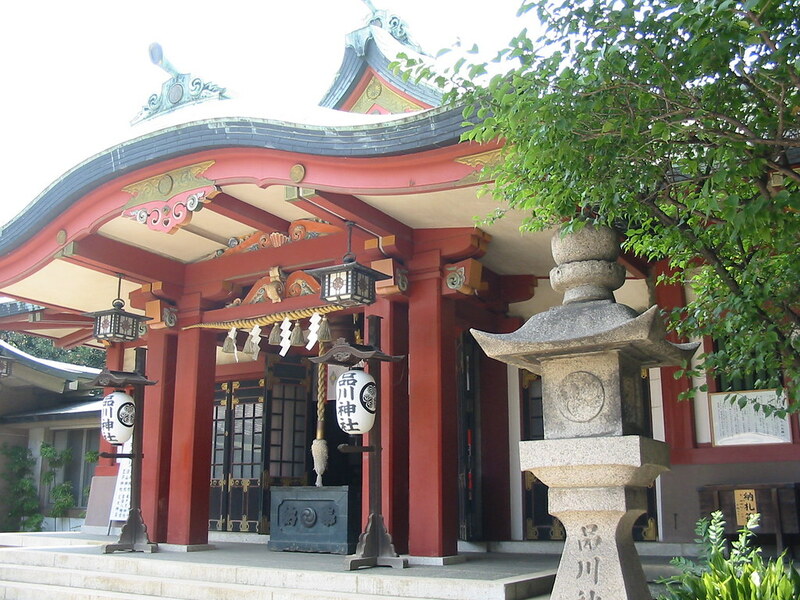 Built in the 12th century, Shinagawa Shrine is designed to honor the god of food. It’s one of the ten shrines that surround the Tokyo Imperial Palace. The most distinct feature is the large torii gate that features detailed dragons carved into each pillar. Admission is free. The best part about this shrine is that it’s typically empty, except during festival season, one of the most popular times to visit Tokyo. During the festivals, however, you’ll find many food stalls and happy locals. While it’s in the middle of the city, you can get away from the bustling streets of Tokyo. The surrounding area also has many restaurants and shops, making it a great spot to visit in the middle of a busy day. Known as the temple of healing, Kogan-ji Temple was built in the late 1800s and is now surrounded by urban Tokyo. In fact, it’s just off a major shopping street. The street contains many traditional craft stores, restaurants, and clothing stores. When visiting the temple, you can learn more about its history. A samurai drew 10,000 pictures of the deity Jizo to attempt to cure his sick wife. Visitors can receive a copy of this picture, which you’re supposed to place over the site of your illness or pain. The locals refer to the temple as Grandma’s Harajuku as it’s a popular temple for older people. 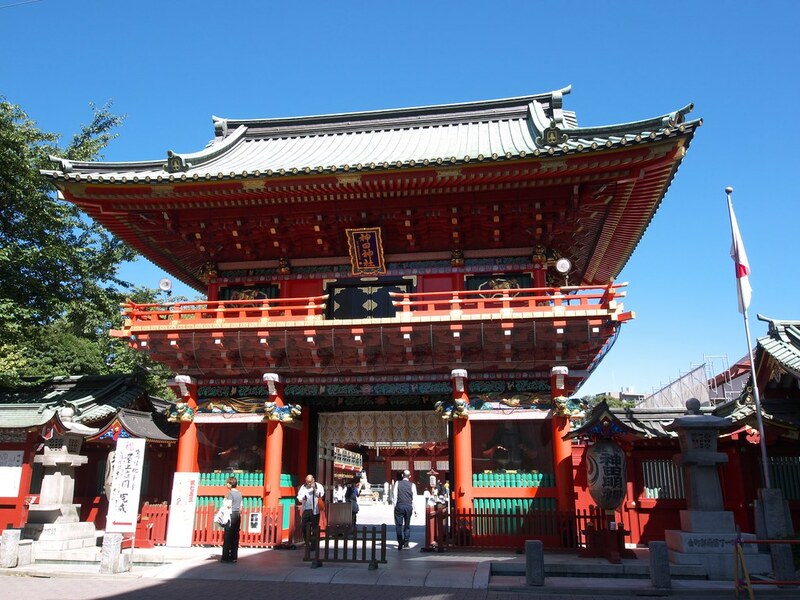 The Kanda Shrine is another ancient Shinto shrine, built over 1,000 years ago. The shrine is right next to the Akihabara Station in the Chiyoda Ward. The surrounding area of Akihabara is a popular spot for otaku culture, celebrating anime, manga, and video games. The shrine has even been featured in video games and anime. When you walk the surrounding streets, you’ll see people dressed in cosplay costumes, maid cafes, and dozens of electronics stores. The entrance to the shrine features a large, two-storey gate. It’s a colourful temple. Visitors can purchase talismans intended for blessing your electronics against harm. 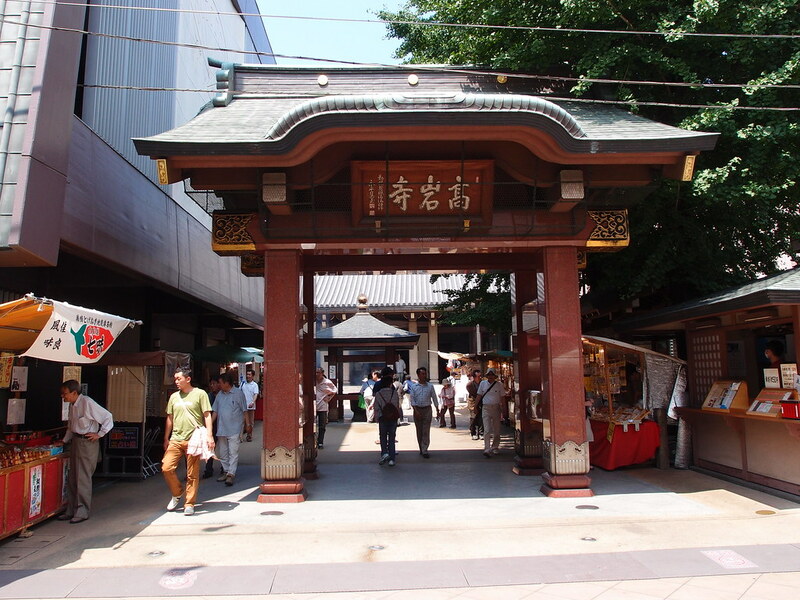 The shrine also gets busy during the Kanda Festival, held around the 15th of May during odd years. The Tsukiji Hongan-ji Temple stands out for its architecture. While many of the temples & shrines in Tokyo feature the same style, Tsukiji Hongan-ji Temple has strong Western influences. 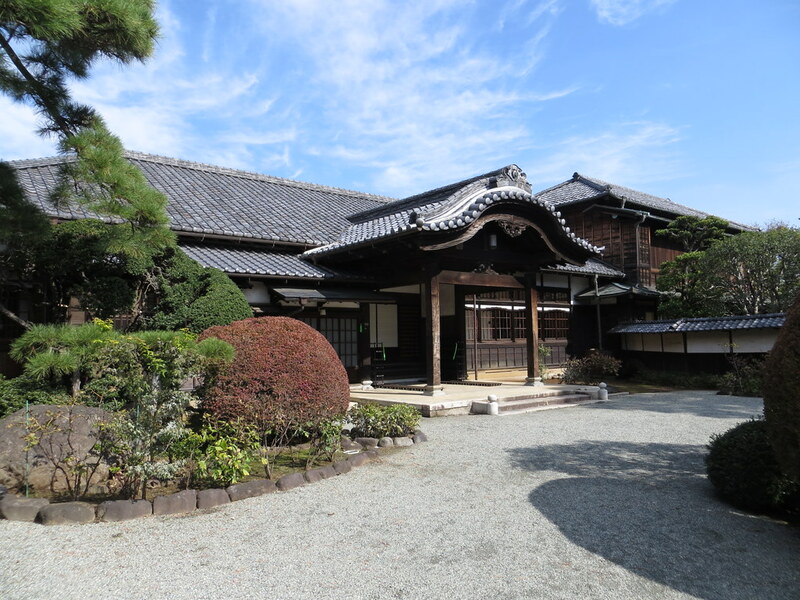 It resembles a museum rather than a Buddhist temple or Shinto shrine. The temple has unique architecture because it was designed between 1931 and 1934, making it one of the newer temples in Tokyo. Besides the distinct look of the temple, it’s also conveniently located next to the Tsukiji Fish Market and near the interesting Ginza district. You can fill up on fish before or after spending some time admiring the temple. Looking for a great place to lay your head? The neighbourhood around Tsukiji Hongan-ji Temple is one of the top-rated areas to stay in Tokyo for travellers! While the previous shrine showcases distinctive modern architecture, the Gotoku-ji Temple doles out its own distinct traditional features. At Gotoku-ji Temple, you’ll find hundreds, if not thousands, of small cat statues. The statues represent Neko cats, a popular charm in Japan. In fact, you’ll see tons of these small figures on keychains and other souvenirs. A common ritual is to purchase a Neko doll at the temple and make a wish. If your wish comes true, you’re supposed to return and give the doll back to the temple. The temple is just a short walk from the Miyanosaka Station in Setagaya. It’s a necessary stop if you want to see something different compared to the typical temple. The Zojo-ji Temple is another temple full of interesting statues. As you approach the temple, you can see the Tokyo Tower in the background. As you get closer, you’ll see dozens of small statues depicting Jizo. The child-like monk is the protector of children and the unborn. The original temple includes a large complex. The area is a lot smaller today, but one of the ancient buildings still stands. Sangedatsu Gate was built in 1622 and survived the WWII bombings of Tokyo. It’s now sits as one of the oldest wooden buildings in the city. Another interesting feature of Zojo-ji Temple is the large tree growing next to the gate. It was planted in the late 1800s by former US President Ulysses S. Grant. 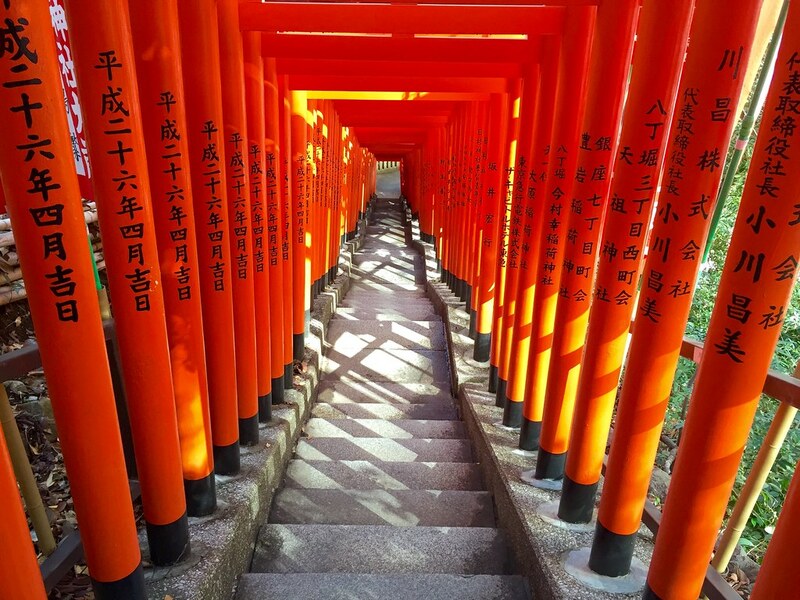 If you’ve checked out shrines in Kyoto, you’ve seen the famous torii gates located at the Fushimi Inari Taisha Shrine. Tokyo has its own version with Hie Shrine. It features a massive stone staircase lined with a series of red torii gates. The original shrine was built in either 1362 or 1478. Either way, it’s an spectacular ancient shrine with a long history. Hie Shrine also houses a National Treasure and several cultural assets. You may get to view a tachi, which is a single-edged sword, or any of the other ancient swords contained within the shrine.